What's the most important resource on the internet right now that most hypnotists aren't using? It's video. Native video content (video you create yourself) is the game-changing medium for hypnotists who want to expand their outreach, work with more clients, and build a better brand. It's a multi-functional tool that gives you the ability to work one-on-one with clients, to train multiple people at once in live sessions, or to create recorded content that can be accessed by people all over the world. What do you do with the videos once you've recorded them? The internet is a massive place. There are more social media platforms than ever, and they are all claiming to be the best place for you to spend your time and attention. How do you know which ones to put your videos on? Here's where I can help. I can speed your learning curve dramatically. I can help you get set up properly, produce videos of quality more quickly, and position yourself ahead of thousands of other hypnotists who aren't using new media. I'll show you which features really matter, and which ones can be ignored. I'll teach you the strategies that leverage the power of video to build a better brand and get more clients. This is not something you want to be doing trial-and-error with; get yourself the quickest possible learning curve so that you can get results fast! You don't need professional video equipment. Today's smart phones are capable of taking reliable video, so long as you set up properly. Consume the material at your own pace. Re-visit the material as much as you need. Each week you'll take action steps that help you produce results. No high-end equipment is needed. Keeping it simple means less can go wrong. Keeping it simple keeps the cost down. You get live online interaction with the trainer. The sessions will be recorded so you can watch them on replay. The proper internet setup so that your videos function correctly. How to keep your video from looking fuzzy and unprofessional. A simple three point lighting setup that will make you look great on camera. The three keys to sounding great on video. 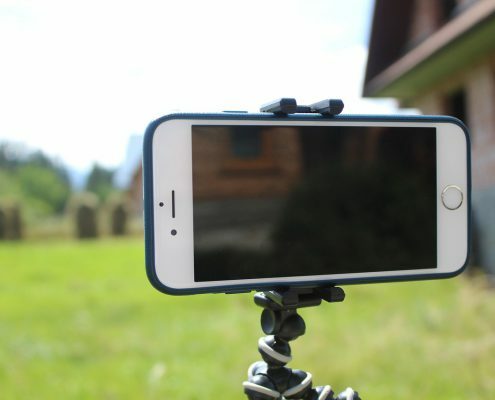 The difference between live video and recorded video, and which services work best. How to set up a Facebook Live video. How to set up a Zoom webinar. How to set up a YouTube Live video. How to schedule a webinar in advance on all three of those platforms and build an audience ahead of time. Three ways to visually brand every video you create. The interview strategy for brand development. The open group strategy for client lead development. The solo strategy for pure content creation. How to screen share slide shows and digital documents for greater production value. How to integrate Google Drive in a live webinar for greater collaboration. Finally, you will have a "capstone" experience in which you launch a live webinar that I attend as a participant. I'll be there to help you troubleshoot and guide your facilitation so that you get your first video webinar under your belt. If you asked us to coach you individually on using video effectively, it would take 5-10 hours at a rate of $150/hr, so your cost would be between $750-$1500. By creating an online program, we can can lower the cost and help you learn faster. We front-load our time creating the content, and once that content is created you can tackle it at your own pace. You can also re-visit it as you see fit. I've spent hundreds of hours learning about video production, social media sites, and content delivery platforms. I'm confident that I have the knowledge and the perspective that can help you use this platform to help your business grow. If you're ready to increase your reach and grow your brand with video content creation, then use the PayPal button below to get started.